I have just recently added solid color pet beds to my Shopify store. I love these! 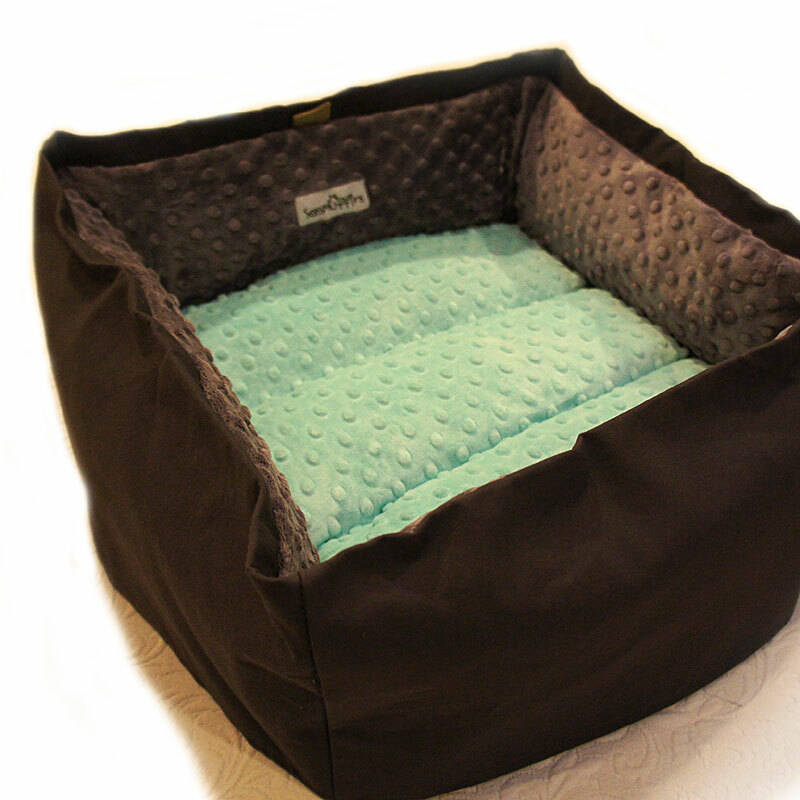 As with all my pet beds these are custom, and allow you to choose both the interior and exterior color of the pet bed. With 32 color choices for the interior minky fabric, and 32 color choices for the exterior cotton fabric, there are a total of 1,024 color combinations! These solid color pet beds blend beautifully with any decor. And, since my minky and cotton fabrics are “matched” to each other (they use the same color chart), you can request that the interior minky pet bed sides be the same as the exterior color. This way only the interior pillow cover is the same or a different color, and can be changed out later to one of many other colors. This is a great way to change up your pet bed for the season…have a lime green color pillow cover for spring and an orange pillow cover for fall. I do this myself for my little dog Gracie’s pet bed. The exterior and interior sides are all an ash gray color, and I change out the pillow cover as I like. So very versatile! And yes, I am also now offering replacement/additional pillow covers in my standard pet bed sizes just for this purpose. Enjoy shopping! This entry was posted in Pets and tagged cat, Custom, Dog, Pet Beds, pets, Sassmuffins, Shopify, Solid Colors, Travel, Washable. Bookmark the permalink.